Re-posted (in excerpt), with thanks, from ArsTechnica.com, please visit there for the full article by journalist David Kravets. Thanks to Michael Krieger of Liberty Blitzkrieg, for pointing to this post. Thanks also to Nicholas Merrill, president of Calyx Internet Access, who challenged the FBI’s gag order on a National Security Letter he was served for a client’s records, and endured a 11-year legal saga in a First Amendment lawsuit (more on this from Wikipedia) before a judge ordered that the FBI’s specific informational demands be revealed. The National Security Letter (NSL) is a potent surveillance tool that allows the government to acquire a wide swath of private information—all without a warrant. Federal investigators issue tens of thousands of them each year to banks, ISPs, car dealers, insurance companies, doctors, and you name it. The letters don’t need a judge’s signature and come with a gag to the recipient, forbidding the disclosure of the NSL to the public or the target. “The FBI has interpreted its NSL authority to encompass the websites we read, the Web searches we conduct, the people we contact, and the places we go. This kind of data reveals the most intimate details of our lives, including our political activities, religious affiliations, private relationships, and even our private thoughts and beliefs,” said Nicholas Merrill, who was president of Calyx Internet Access in New York when he received the NSL targeting one of his customers in 2004. The FBI subsequently dropped demands for the information on one of Merrill’s customers, but he fought the gag order in what turned out to be an 11-year legal odyssey just to expose what the FBI was seeking. He declined to reveal the FBI’s target. The NSL got a major boost in the wake of the 2001 terror attacks, as it became part of the USA Patriot Act. Between 2003 and 2005, the FBI issued 143,074 NSLs according to a Justice Department inspector general report. Please continue reading at ArsTechnica. Compilation of statistics, history, and information on National Security Letters at EPIC–Electronic Privacy Information Center. Is the US Department of Justice Secretly Permitting Local Law Enforcement and Fusion Centers (With a Covert CIA/DoD Presence) to Deliberately Assault American Citizens Using Covert Directed-Energy “Non-Lethal” Neuroweapons, Covert RFID Implants, and Clandestine CIA-style “Concealed Electronic Monitoring” in a “Top-Secret” 21st-Century-Policing or Covert Military/CIA program? This is a serious subject, and one that every single journalist and human rights advocate in the US studying Surveillance issues, Constitutional rights issues, Abuse of Privacy, Due Process, Policing, Military, Public Safety, and Security issues should be investigating. In the US today, we are not merely living in a Surveillance State, we are living in a Secret-Police’d State. Some of us know this, while some of us seek continually to circumscribe and limit the conversation to Surveillance issues as exposed by NSA whistleblowers such as Edward Snowden. This goes beyond surveillance, and it goes beyond Snowden’s published revelations, to weapon-use on citizens. Journalists with paychecks from corporate mainstream media are yet to report accurately on this subject, although many voices in alternative media have begun to investigate. Independent journalists, human rights groups, agencies concerned about the actions of Intelligence agencies and government bodies, anyone investigating the corporate mafia need to step forward. Concerned citizens can also investigate by putting in FOIA requests locally and nationally, by becoming engaged, and actively investigating this issue (Please see end of post for Action Items). By this means, innocent citizens, activists, writers, and journalists–whose only “crime” may have been to sign a petition online against fracking or neonicotinoids in pesticides, or to speak out to their local representatives or Senators about chem trails dumping harmful toxins into the atmosphere, a very real problem today, or to call out unethicality of some sort in their communities–are being framed as terrorists or spies or some other unsavory kind of criminal. This is a public framing, for accompanying these false accusations and allegations are Secret Notifications to entire communities and neighborhoods. This investigation–disclosure of which is suppressed by gag orders and non-disclosure agreements–never ends but goes on for years. (What kind of legitimate investigation goes on for years? You guessed it: none. These are not legitimate investigations, these are specious investigations, set up to discredit individuals.) Many individuals reporting assaults by directed-energy “non-lethal” weapons, covertly-placed RFID implants, and overt surveillance and harassment by neighbors and community members, report being assaulted, surveilled, and harassed for years, while these so-called “investigations” on them are kept interminably open. Are Co-Opted and Fearful Communities Helping the FBI/NSA/DHS/CIA/DIA/DOD Project with “Concealed Electronic Monitoring” Surveillance and Concealed Neuroweapon Assault? Everyone who receives notification of an investigation from an Intel agency or the local Fusion Center also knows they cannot speak openly about it–or so they are told, by Intel. Using the National Security Letter as weapon, the FBI/NSA/DHS/CIA/DIA informs community members that the being-framed individual is “under investigation,” and seems to either demand or command or coerce the co-opting of the community into “concealed electronic monitoring” activities–a phenomenon of both GPS’ing and using tools such as networked apps on cell phones to silently direct neuroweapon-hits on their neighbor, covered more fully as subjective experience in this post here and with other posts linked here. Is it possible that the Department of Justice is permitting this neuroweapon-enhanced “concealed electronic monitoring” and “electronic surveillance” on thousands of Americans by glibly rolling neuroweapon-attacks under “electronic surveillance/monitoring” — and suggesting this is perfectly legal? Intelligence Agency and DoD contractor and personnel and staff privy to these “Top Secret” projects and cleared, themselves, by national security clearances–irony profound!–to spy on, surveill, track, harass, and assault innocent citizens in the expedient name of “national security,” for the corporate security state know this. Fusion center folks know this. Employees of Infragard and members of Citizen Watch and Neighborhood Watch programs know this. Universities and research institutions and Defence and CIA contractors running these Federal contracts to test “anti-personnel effects” and do “bio-behavioral research” of/with these weapons certainly know this–all their employees on these contracts: the unethical neuroscientists, the psychologists and psychiatrists, the graduate students, the interns, the post-doc researchers, the technicians, the admin staff: they all know that “non-lethal weapons” which are actually deadly and lethal-by-repetition-or-intensity neuroweapons using electromagnetic and sonic energy are being used covertly on the street in America on their covert “human subjects” because they are the ones supplying the manpower and running these covert research projects. Who is operating these military-grade radiation weapons? When Intel agency personnel with security clearances are being avidly watched and surveilled and monitored for leaks/possible whistleblowing themselves, at huge cost to the taxpayer, as this article details, they are not going to tell you what they are doing–they are wedded to their paychecks, not their conscience. Nor are notified communities, who are literally being terrorized by a Secret-Notification-dispensing State–to ordinary people seeking to continue living ordinary lives, being threatened secretly with jail time and high fees is nothing short of terror. It’s the people being assaulted, who are not being gagged with opportunistic gag orders, as their neighbors are, who are going to and indeed do speak out intensively online to give you an answer to this question: Military/Intel/fusion center operatives traveling on foot or in cars, staked out in houses in neighborhoods, stalking individuals in public places, including malls, stores, libraries, airports, and on planes and trains. 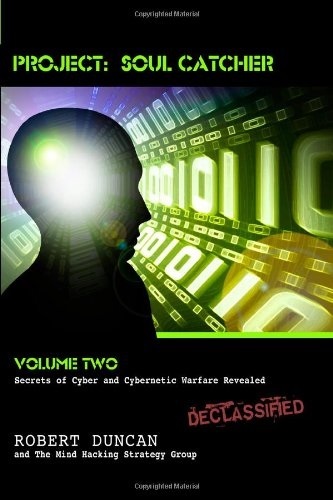 Operatives using ground-based and air-based vehicles–cars, planes, helicopters–as DoD manuals on Electronic Warfare detail. Operators of highly sensitive remote sensing, radar, imagery, transmitting, and receiving equipment carried on satellites. What Part of This Covert Assault and Invasive Non-consensual Covert Research is Blatant and Overt? Constant Plane Just Past Roof of House/Pine St.
Quite a few parts, as it turns out. 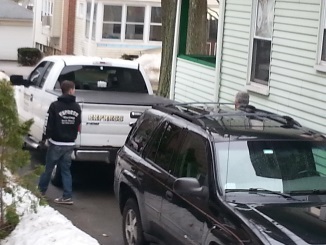 These CIA/DoD operatives working in neighborhoods are anything but stealthy. Neighbors and community members engage in overt surveillance–a COINTELPRO PsyOps tactic designed apparently to induce fear, but which succeeds primarily in being obvious and establishing its own visibility. 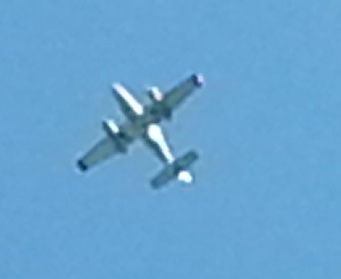 On Pine Street in Quincy, Massachusetts, as this article partially details, this Air Force/or CIA Airborne operation is blatant, overt, and obvious (cars zooming up and down the street at high speed and then parking in neighbors’ driveways cannot be missed, nor can constantly-returning planes and helicopters which haunt and hover over a particular house and yard, as documented here)–every single member of the neighborhood is aware of–and participating in–this obvious assault on the particular individual being targeted (this writer)–yet of course none will speak openly of it, apparently being held (presumably by intimidation) to non-disclosure agreements, and, seeing the overt assaulting by Intel/DOD of a person in their midst, possibly in terror for their own lives. Directed-energy weapons today have their own special home in the Military, the Joint Non Lethal Weapons Directorate. Military, Air Force, Navy, and Defense contractors are currently executing contracts which involve Directed Energy Bio-Behavioral Research on “human subjects” in the lab and in the field–notice of which can be found in the public domain, on government and military contracting sites. Whether these publicly-proclaimed DEBR contracts actually perform their experiments only on informed volunteers–as this US Air Force contract document, obtained by FOIA request by this writer, averrs (and publicly available now on Muckrock.com to all interested researchers)–is a matter of contention, and yet to be investigated. For more information and discussion on the whole phenomenon of secretive weapons-testing on US populations today in 2015, please see the articles posted here under Human Rights. CIA/DOD Scientist Dr. Robert Duncan writes extensively in various books, notably Project Soulcatcher, of current and ongoing CIA MK ULTRA-style behavior modification, Mind Hacking experiments using neuroweaponry, continuing rampantly in the States, well-past their supposed shutdown in the ’70s, and about interviewing about 650 subjects of nonconsensual human experimentation, and knowing of many hundreds more. CIA experiments then and now are easily classified under National Security labels. Please note, these are classified Black Ops projects, but a scientist who has worked on developing the neurotechnologies being used is giving us insider information on them. Please pick up a copy of Project Soulcatcher and read it end to end–particularly if you are a journalist with an interest in reporting the truth, or a human rights advocate with an interest in learning the truth, both about the nature of neurocomputing research currently underway, the reality of CIA/DoD Mind Hacking, and the reported experience of mind hacking experimentation. Dr. Duncan’s talks and interviews are also widely available online, including in part on this site. When the Military and Air Force are currently publishing their Directed-Energy contract RFPs, when CIA and NSA insiders (eg. see John St. Clair Akwei’s NSA lawsuit) are revealing the existence of highly sophisticated neurotechnologies, when patents exist–and are freely available online--for all reported effects experienced by victims of this unlawful human subject experimentation, ask yourself how many classified, CIA/DIA/DARPA/NSA Black Ops projects might exist, whose contracts are not published in the public domain, whose experiments are well-hidden under “classified research,” and whose experimentees and “subjects” therefore are not informed–merely assaulted–since, in the Land of the “Free,” Informed Consent is not required in Classified Research projects. Yes, that’s right: Informed Consent is Not Required for Covert Assault. The military/intelligence/industrial community has been working overtime ever since 9/11, and possibly before as well, to create loopholes for itself, and our checks and balances system (such as they are)–Congress oversight committees?–has utterly imploded on itself, as corporations with corporate mass-control intent run the country. Today, the CIA can continue to classify all its research and not tell you you’re going to be covertly assaulted and experimented on, with radiation weapons, because the CFR–the Code of Federal Regulations–has been watered down to being utterly meaningless, and permits all sorts of Federal agencies to engage in human subject research without informed consent. We are back to Tuskegee, to Ewen Cameron’s MKULTRA, to the Guatamala experiments, to the Gulf War exploitation of soldiers–radiation experimentation, minus Consent. 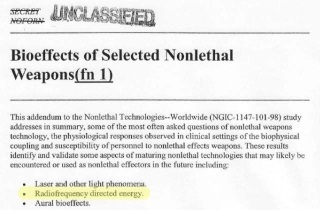 Information on the Department of Justice’s possible involvement and interest in Non-Lethal weapons comes from a few sources. Also see this 1997 document, titled “Department of Justice and Department of Defense Joint Technology Program: Second Anniversary Report” from the National Institute of Justice, which details the rationale behind DoD and DoJ collusion in the development of non-lethal weapons, and mentions a Memorandum of Understanding between the two departments. This understanding between the Department of Justice and the Department of Defense, discussed above, was recently the subject of a FOIA request made May 29, 2015, by this writer, which can be seen here on Muckrock. The Information Policy office at the DOJ returned a no-responsive-documents response and cited three FOIA exemptions permitted under law enforcement and national security reasons while stating they had no responsive documents–meaning, it’s not that they necessarily had no documents, they’re pointing out that they are simply not required to reveal having any, since those exemptions permit them to conceal certain documents. For those who have heard absolutely nothing uptill this moment about Non-Lethal Weapons, Neuroweapons, or Electromagnetic Weapons possibly in use at the local level — by local Law Enforcement — on Americans, this information will be absolutely shocking; please re-read the excerpted section above from Earth Rising to understand that we are being publicly told that the Department of Defense long ago, in 1994, struck a deal with the Department of Justice to permit the military to use non-lethal weapons on American civilians, inside America, in support of law enforcement. Two, the obvious participation–if c/overt–of local law enforcement in these weapons-testing and operating activities. What part do the local police play? Again, we must turn to those experiencing the assaults for answers. And here they are. One, local police turn a blind eye while non-lethal weapons are deployed on the streets, while Military/Intel operatives zoom in and out of neighborhoods, at high speed, or hole up in houses and apartments in the vicinity of the being-assaulted individual, while operatives use honking patterns to advertise their frustration to air-based vehicles, while helicopters and small aircraft zoom into neighborhoods in response to those honks, while Electronic Warfare, tracking and surveillance and Signals Intelligence-stealing aircraft hang and circle for hours in neighborhoods. Three, local police take part in the COINTELPRO organized stalking, overt surveillance, and noise harassment of those being assaulted by, among other harassments reported, following them, parking directly in front of them, setting up “street theatre” operations in their vicinity, and using sirens and lights and racing about constantly in their presence. Local Law Enforcement and the Department of Justice have obvious interactions and relationships with each other. Can it be concluded then, from the existence of this joint-development-and-use directive as well as local police actions and policies played out everyday, all across the US, that the US Department of Justice is certainly very much involved in this extremely dirty Covert Ops of assaulting innocent citizens with directed-energy weapons? In secret, the Department of Justice is acting as Judge, Jury, and Executioner all at once–the obvious implication of lack of due process. In secret, the Department of Justice is rolling out Deterrent Policing and Pre-Crime Initiatives at your local police station–without public disclosure, comment, or consent. 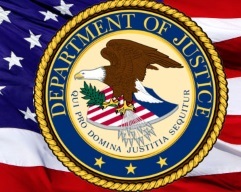 In secret, the Department of Justice is conferring on Local Law Enforcement, and on their support-system, the Military–and by extension, all in the community who are roped in via community-policing initiatives administered by Local Law Enforcement–immense, unchecked powers of secretive surveillance and “concealed electronic monitoring” — a pass for Concealed Electronic Assault, for that is what it is: the use of remote radiation neuroweaponry on people; for when people use little Intel-agency-provided apps on their cellphones, iPads, or laptops to help “track” and “monitor” individuals, they are not merely “tracking,” they’re doing a lot more, they’re clicking the switches to unleash harmful and damaging neuroweapon radiation pulses–via weaponry carried on networked satellites, ground-based units, and air-based units–on individuals. In secret, the Department of Justice is permitting Local Law Enforcement to carry out, condone, or facilitate Armed Assault and Battery on Unarmed individuals–what else shall we call damaging physical assault with microwave pulse weapons and others which comprise the arsenal of Covert Directed-Energy Non-Lethal Weapons? Is it not Assault and Battery? In other words–without public and media declaration, exposure, and acknowledgement–the Department of Justice, supported by the Department of Defense, is engaging in an Asymmetric, Covert War against peaceful American residents, civilians and veterans both. This is profound corruption, profound crime, and, essentially, treason–for it betrays the citizenry, it betrays the Constitution, it betrays the high ideals and promises of representative Government. American citizens are not being protected by the Department of Justice and the Military, they are being attacked, on home ground, in America–without notice of a charge, conviction, or detention. But incarcerated indefinitely in an invisible concentration camp–on the battlefield of America, and subject 24/7 to radiation neuroweaponry assault. What Can Anyone Do To Publicize, Challenge, Expose, and Ensure the Termination of This Covert Assault? Please wake up and recognize this blight in our society is the sign of a move toward an even greater totalitarianism-–if we don’t put a stop to it right now. Recognize the extreme threat here: the actions of a Secret Police in our midst, targeting and assaulting certain individuals, while city and county and state police turn a blind eye really suggests that a message is being sent to the rest of society: We are working to fully control your lives–look at what we can do to some of you already. Each of us needs to understand that these neuroweapons pose a tremendous threat to All of us. The nature of these radiation weapons being used–and the selective mode of their application–means that some citizens being assaulted are fully aware of the assaults on their persons–and being dismissed in droves as delusional by a complicit professional class, a phenomenon discussed here, and here–-and many other citizens being assaulted are completely unaware, attributing their sudden slide into chronic or terminal or recurring illnesses and diseases to genetic roots, or advancing age, or some other factored-in “plausibly deniable” rationalization. 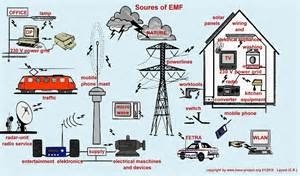 These are electromagnetic radiation weapons, sonic or acoustic weapons, their nature is covert (remember, radiation in pulses or waves or streams cannot be seen; ultrasonics and infrasonics cannot be heard), they are being used covertly, and they induce illness, disease, and death. Used covertly on a helpless and unsuspecting population, they are weapons of control, whose use is increasing, as more and more people make reports every year of being assaulted––every one of us should be seriously concerned, because any one of us could be currently being hit and not know it, or could currently be on the hit-list, to be hit next. Doing Nothing to resist, counter, and stop this extreme abuse of American privacy, bodily sovereignty, and social and community peace is tantamount to caving in to the dystopian future it represents. Ask yourself a very hard question: do your actions today (of quiescence, consent, and compliance) support the status quo of intimidation and threat and controlled-future being preserved and imposed on you by a criminally corrupt State, or do your actions (of questioning, researching, and speaking out) reflect allegiance to a different future that you can envision, one where peace and sanity and friendship and neighborliness and respecting of rights and privacy become once more the hallmarks of our society, one where we are not enslaved, engulfed, and overpowered by the will, technology, and callous control mechanisms of a pathologically narrow-minded and elitist sector of the populace? Create Awareness: If you’re a writer or journalist or broadcaster, please research and write about this, or do a podcast. This is a vast subject, which desperately needs many many minds and hands working on it. Research and focus on one small aspect at a time, and write about it–set up a blog or website or regular podcast–a radio show on Blog Talk Radio or a Skype interview or Google Hangout–interview people who are experiencing being assaulted, interview whistleblowers, interview experts–send emails to friends and family, write articles for sites online, create e-books, flyers, social media posts. Speak Out: Make your opinion known. Write letters to the editor of local and national papers, write op-ed columns, write letters to your elected representatives. Write to the Attorney General, your state government, your local government. Write to local media, ask them to cover this issue. Speak out in city council meetings. Now that you know what is going on around you, all around you, right in your own neighborhood, possibly, what do you think? Do you think this is lawful, legal, permissible in our midst? Is it okay to hit people with covert radiation weapons in your view of society? Let them all know what you think. Publish your opinion widely. Our words count, our words matter, and if you do not speak out today, it’s your children who are All going to be enslaved tomorrow. Ask for Information: Please ask government agencies for information. You can put in FOIA –Freedom of Information Act–requests online at Muckrock and some other sites for a small fee. Research successful request formats, ask for specific documents or records, and make these publicly available. Blog about the FOIA-requesting experience. Send links of FOIA requests to journalists. Decide if you want to leave quietly or if you want to expose the wrongdoings you have witnessed. If you choose to share information, you should think carefully who you give it to and only communicate about this through secure channels. Please contact us or consult an organisation specialized in handling and protecting whistleblowers like Wikileaks and Courage Foundation. As a nation, we are not going to roll back corruption, surveillance, or covert assault — all heading toward Absolute Control By Covert Weaponry of an Entire Populace — by shutting down and keeping silent. The only way we can ensure that change comes about — and ensure too that our future and our children’s future is not Enslavement in the New World Order of transhumanized, dumbed-down, mind-controlled, neuroweapon-assaulted minions living and working in fully-surveilled concentration camps overseen by a pathologically deranged oligarchy — is by stepping forward, claiming our personal power, and speaking out. Please take action today–in whatever form you see as working personally for you–even if your first step is to go out and research all this for yourself, to figure out what the truth is here. Please take that step.